I know everyone spells it differently, spatzle, spaetzle, and more.. let’s just do spaetzle for now.. moving on. I remember we had a recipe months ago that needed spaetzle and we could not find it anywhere after searching low and high. When we were in Germany in December every grocery store was crawling with it and we shouted from aisles “Pamela over here, you have to see all this spaetzle” or “Matthew, omg, quick, spaetzle, shelves of it, omg, hurry”. For some reason though we didn’t buy any. 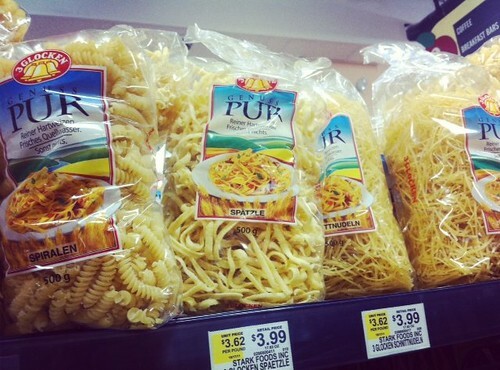 So imagine our happiness when a local grocery store has a whole shelf of 3 Glocken Genuss Pur bags of spaetzle and other noodles that we can’t read at all. 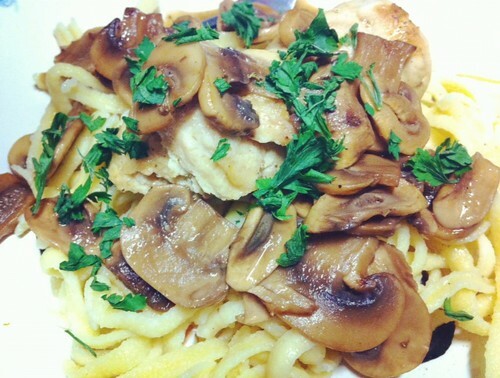 We bought a bag last week and decided to make some chicken marsala with marinated mushrooms and put it on top of a bed of spaetzle. Let’s just say we both cheered after dinner (actually we messaged one another with things like “OMG, so good” “YES! YES!”). 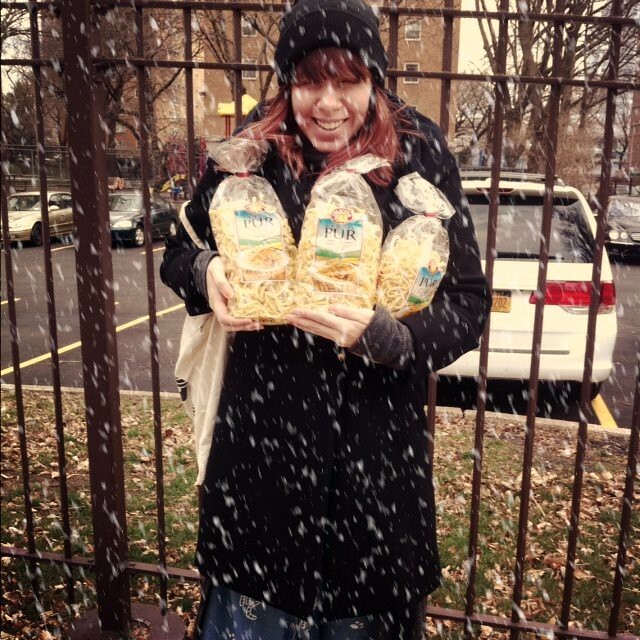 So today we stocked up, like the spaetzle monsters we are. PS. It’s totally not showing here, I just learned that Flickr has a snow filter and I wish it was always snowing!